The Intentional Day Against Homophobia (IDAHO) has announced more events to take place on or around May17. Fighting so-called 'reparative' therapies, aiming at "curing" sexual and gender diversity, is emerging as a theme. 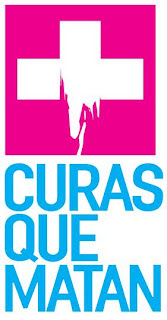 A coalition of groups from Latin America and the Caribbean has launched a campaign called "Cures that kill". First signatories include the Brazilian Federal Council of Psychology, Mariela Castro and the Mayor of Lima. In Peru a week long programme in Lima includes a national seminar on 'reparative' therapies. In Italy, Catholics will hold a Vigil of Prayer for the victims of homophobia. The Latin Americans are seeking support from the international community and the wider public. The IDAHO Committee has an online "As I Am" campaign which aims to "celebrate our individualities and to honor the collective spirit that binds us all, connecting us to universal, inalienable and interconnected human rights that all people share". It has invited submissions of creative videos, artwork, or written statements "about respecting a person for ALL of who they are". May 17, the 20 national editions of the free daily METRO, read by 17 million people, will be edited by Lady Gaga. There is a contest for Gaga assistants. "The Conference for Middle East and Balkan Countries’ Homosexuals was a dream when we declared our foundation 16 years ago and shaped our liberation perspective. Liberation and survival struggles of LGBT in our region has always been a constant consideration for Kaos GL, one of the first LGBT organisations in Turkey. The reflections of all ethnic, religious and cultural diversity seen in the Middle Eastern, Caucasus and Balkan countries exist in Turkey’s society. Kaos GL has strived for this diversity to represent and express itself in the LGBT movement since its foundation." "Homophobia is institutionalised in civil society and the public area by blending racism and nationalism in the countries of this region, including Turkey. Institutionalised homophobia integrates into historical animosities between the countries of our region and increases existing alienation between peoples. 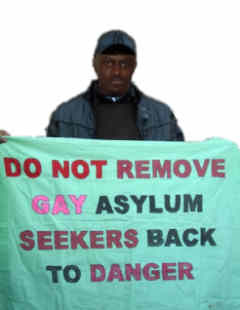 It is the LGBT organisations and the regional network between these organisations that will have to resist homophobic and sexist reflections of racist and nationalist policies in our region." In Rwanda, LGBT organisation HOCA will hold a large-scale media conference to increase awareness of the situation of sexual and gender minorities in the country. The international photo project 'Walk with Pride' that documents gay pride parades around the globe will be shown simultaneously in more than 20 locations around the world, including at the European Parliament, and on the IDAHO Committee's website. The International Gay and Lesbian Human Rights Commission will release 'Courage Unfolds', a film highlighting the issues faced by LGBT people in Asia and encouraging the use of the Yogyakarta Principles as a tool to promote LGBT human rights, May 17. The Courage Unfolds Campaign calls for lesbian, gay, bisexual and transgender (LGBT) people to be protected by law, respected by society, and accepted by family. In Russia, the second "Rainbow Flashmob" will happen, with Hamburg joining in again this year with other cities expected to follow suit. In Israel, the IDAHO team will announce the winner of the 'academic papers regarding homophobia' contest, which has the support of Shimon Peres. In the city of Nethanya, 120 school counselors will participate in a seminar adressing homo/transphobic bullying in schools. In Australia, a 'heroes in our communities' event will launch a year-long campaign calling upon government bodies to sign and ratify the joint statement of the 2011 Asia Pacific Outgames Human Rights Conference. In Chile, a march will close a one-day program about public campaigning and political advocacy.